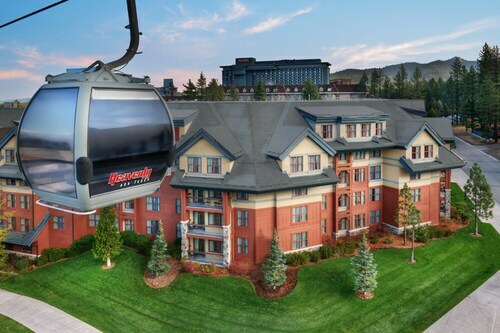 Situated in the entertainment district, this hotel is within a 10-minute walk of Heavenly Gondola and The Shops at Heavenly Village. Heavenly Ski Resort and Lakeside Beach are also within 3 mi (5 km). 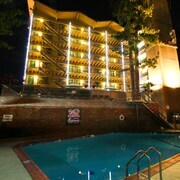 This resort and casino is found in the city's entertainment district and only 2 blocks from Lake Tahoe and the Gondola at Heavenly. 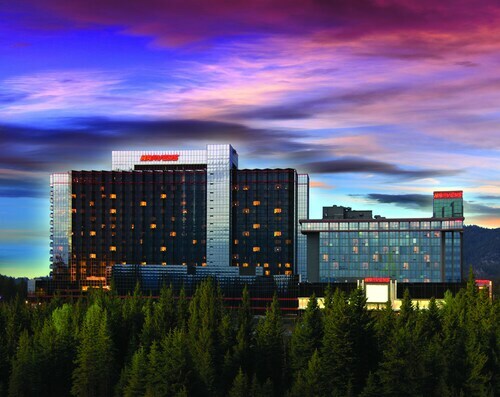 Golf, cross-country and downhill skiing, and snowboarding are within 2 miles. 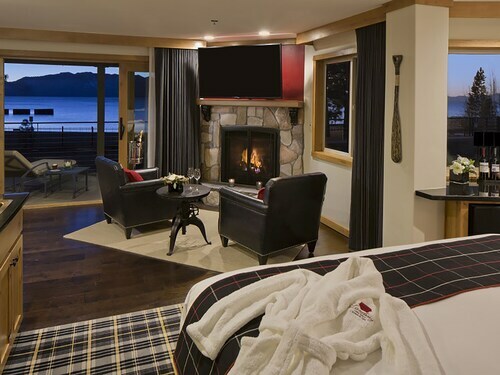 This premier lakeside resort has direct access to a private beach in Incline Village; in winter, a complimentary shuttle service goes to 2 ski areas that offer snowmobiling, sleigh riding, sledding, and snowshoeing. 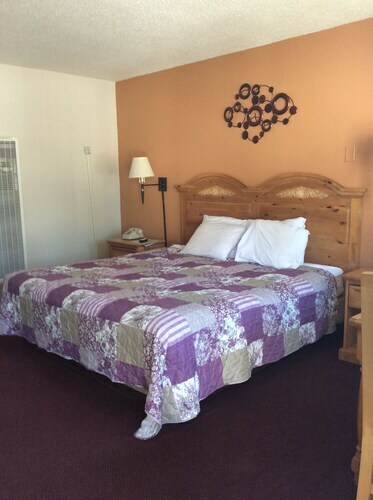 Situated in Kings Beach, this hotel is within a 10-minute walk of Kings Beach Miniature Golf and Kings Beach State Recreation Area. Old Brockway Golf Course and Jim Kelley's Tahoe Nugget Casino are also within 1 mi (2 km). 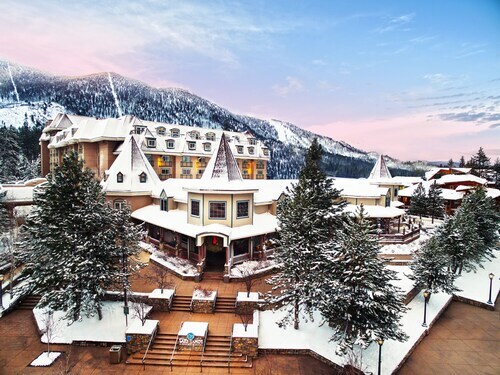 Situated in the mountains, this luxury resort is in the same region as Northstar California Resort, Donner Memorial State Park, and Resort at Squaw Creek Golf Course. Regional attractions also include Donner Lake and Tahoe Donner Downhill Ski Area. 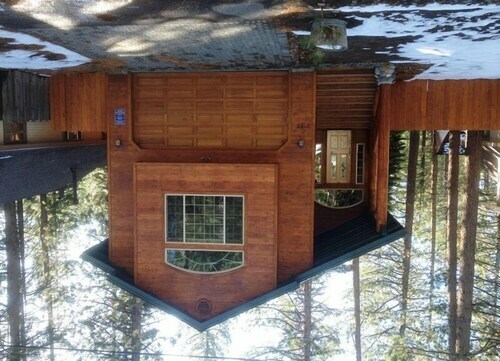 Located in the mountains, this slopeside villa offers ski-in/ski-out access in Truckee within 2 mi (3 km) of Northstar California Resort and Northstar California Golf Course and close to winter sports such as skiing lessons and snow tubing. Kings Beach State Recreation Area and Tahoe City Marina are also within 20 mi (32 km). 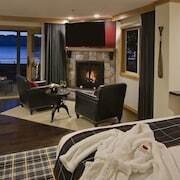 How Much is a Hotel Room in Lake Tahoe? 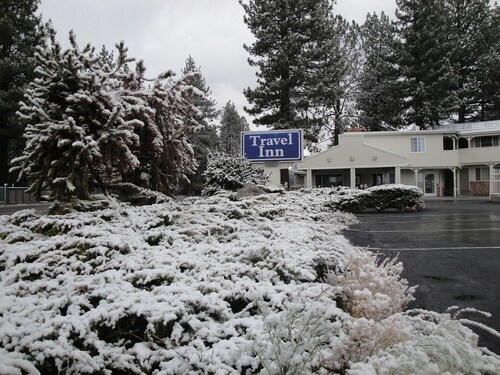 Hotels in Lake Tahoe start at $38 per night. Prices and availability subject to change. Additional terms may apply. Welcome to Lake Tahoe, where the shimmering green and blue waters nestled beneath mountain peaks wow your mind and soothe your soul. Located on the California-Nevada border, Lake Tahoe is one of the west's most popular vacation spots. The 72-mile shoreline and the large, deep body of water allow for everything from boating and windsurfing to swimming and beach-bumming, and skiing comes along with winter. All in all, Lake Tahoe is an outdoor enthusiast's paradise. Get out and seize the day. Unless you're staying a while, you won't be able to do it all, so select what interests you most. 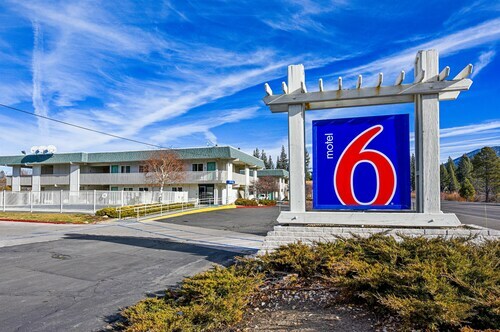 You'll find an abundance of hotels near South Lake Tahoe, as this is the most popular area surrounding the lake, providing everything from skiing and panoramic views at Heavenly Mountain Resort and Gondola to gambling at one of the casinos. 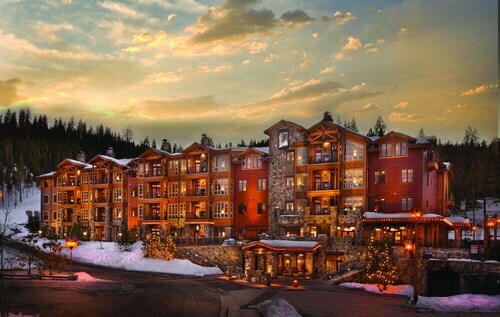 Located near Tahoe City is Squaw Valley, another highly regarded ski resort; here, you find some of the best ski hotels in Lake Tahoe nearby. Emerald Bay State Park, which is known for its colored granite cliffs and incredible lake vistas, especially Emerald Bay Lookout, is a must-visit. Kings Beach State Recreation Area is located on the northern shore and is the spot to relax. If you're looking to hike and swim in one trip, try D.L. Bliss State Park, and if you want to see a historic property, tour the Thunderbird Lodge. 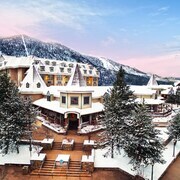 On top of all these spots, there's so much more to enjoy, from the luxurious amenities at Lake Tahoe resorts to the unique shopping in Truckee, a historic town near Lake Tahoe. 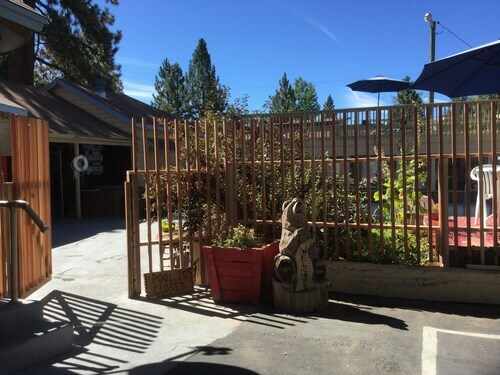 The area charms and delights everywhere you go, whether you're learning about American pioneering at the Donner Memorial State Park and Emigrant Trail Museum or golfing at Edgewood Tahoe Golf Course. 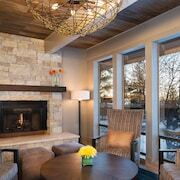 From fancy eateries at hotels in Lake Tahoe to local diners in one of the surrounding towns, there's plenty to enjoy. 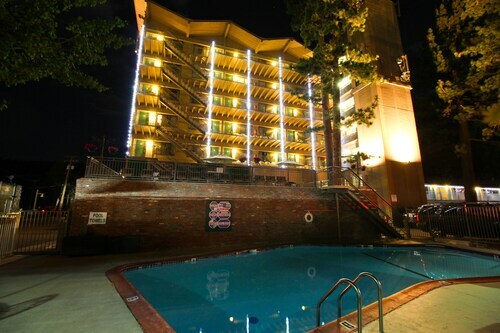 When night falls, explore the casinos scattered about Lake Tahoe or dance the night away at one its many nightclubs. 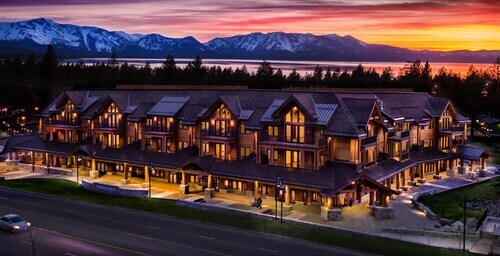 Lake Tahoe is a dynamite tourist destination, so let Travelocity help you find deals on hotels, from cheap lodgings to five-star Lake Tahoe hotels. First Class Accommodations. Very good breakfast in the morning. Easy parking and car access.